Greetings, all! We have some exciting new updates to share with you from this past weekend’s release. While much of this release consisted of “behind-the-scenes” updates enabling us to bring you even more improvements in the future, we acted on some of your awesome feedback about things we could do to help improve your experience using GoCanvas. Admins, rejoice! 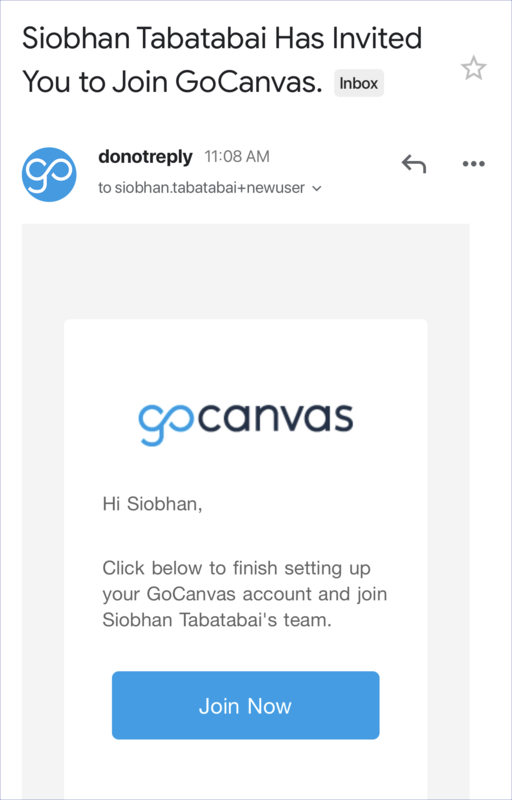 We know you’ve got enough on your plate as it is, so we’ve streamlined the process behind getting your team’s logins set up and onboarded with the GoCanvas app. This will give newly added users the option to have control over their own login credentials. Most importantly, it will help set them up quickly to start doing work in GoCanvas as soon as possible. You’ll find these date pickers in places you typically filter by date such as Export Submissions for an App. Inside the App Builder, we’ve improved the way users set up Calculation fields. All of the functionality remains the same, but we’ve made the process more visually friendly. It also sets us up to have more “room” to work with for adding new functionality and improvements in the future.